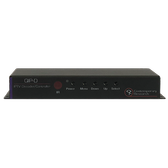 The Contemporary Research ICC1-IRX provides 1 way control over power, volume, and NTSC/HDTV channel tuning on your IR format TVs, LCDs, and Plasma displays. 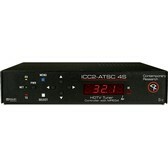 This cost effective and compact unit allows you to operate using your existing CATV RF wiring. Access and control up to 4000 displays using one of the Contemporary Research head units. 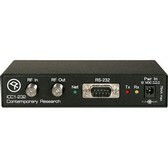 Includes 12 VDC power supply, CC-IRE IR emitter, CC-HSD scan sensor, RF loop cable, and mounting kit. 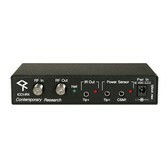 This upgraded model now features power current sensing using the optional CSM1 sensor from Xantech.